Fresh from the produce section! Although the name might suggest, there’s nothing rotten in Denmark today, fellow film enthusiasts and blog lurkers! Rotten Tomatoes is a website for critics to take aim at some of the best (and worst) film releases. Now, don’t go hurrying to your local corner store for half a dozen of these succulent, serviceable fruits. I bear far more exciting news! The Woman is described as “excitingly unique, deeply disturbing, and beautifully macabre” according to Dustin Putman. “[Approaching] an almost Lynchian type of unsettling nightmare.” Dorchester couldn’t be happier with the surge of appreciation from film aficionados. In the words of Bill Gibron, this “surreality to celebrate” may yet become the next cult classic. Why not make it a double feature this Halloween? 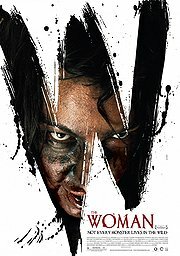 Pop the popcorn and save those rotten tomatoes for another evening by curling up with a copy of The Woman. You won’t be disappointed! Hertfordshire, UK (AFP)—What was recently reported as a domestic disturbance at a downtown apartment block that resulted in three deaths looks to have been a cover-up for something far darker. An eye witness has stepped forward with an account of the ‘disturbance’ that is greatly different from the official police report. Much of the facts of the case have been sealed, not by local law enforcement, but by a government agency simply referred to as “Department 18.” While this department volunteered no comment when contacted, sources have led to two researchers, Len Maynard and Mick Sims, who have had past dealings with the government agency in question. I was able to meet with them briefly and what they had to say was quite shocking. I had to agree to meet up with them in a bar in an out-of-town suburb. The booth they had chosen was at the back, presumably an exit within easy reach. They sat facing the doors so they could see who was coming in. Throughout the interview one of them talked while the other was clearly keeping a watchful eye out for…well, for what, or for whom? Q. When did you first discover the existence of Department 18? It was while we were writing Black Cathedral. It mentioned, almost in passing, Department 18. This was something we had heard about in whispered conversations in and around the restaurants and bars of London. We then, over a period of a few months, became aware that we were being—what should we say? We were being ‘watched.’ We became aware our phones were being hacked, people were seen outside our houses, our friends and families reported being contacted about us. So Department 18 exists, so far as we know. In Whitehall in London, near where the Guards in their Bearskin hats and the Changing Of the Guard and Buckingham Palace all get photographed every day, are some palatial offices where tea does get drunk, and investigations do take place. We didn’t realise by mentioning it in our novel that there would be quite such a fuss. We didn’t think when we got our website www.maynard-sims.com updated that linking to the www.dept18.com website would mean attention on this scale. Q. In Night Souls and Black Cathedral, you reveal to the public a variety of paranormal activity going on in the world today as well as the inner workings of a secret government agency that works to protect society from any dangers these activities pose. Why did you decide to go public with these events and Department 18’s involvement in them? When you gradually realize that your own government is keeping tabs on you it makes you more than paranoid. It can’t be true because the government is there to protect us. That’s what everyone is encouraged to believe. Every time you hit on www.dept18.com, even if out of curiosity, then a file is opened up on you and you come under their scrutiny. When we knew Black Cathedral was making many waves in high places, and Night Souls would make that worse, we decided to investigate as many paranormal events as we could find. Not only in England and the U. S. A. but worldwide. It was eye-opening. So many events that conspiracy theorists get castigated about are in fact linked to the Department and many have supernatural origins. Q. Night Souls reports on Department 18’s discovery of the existence of the Breathers, a species of vampire-like creatures that feed on human souls. Do you expect people to be able to look past their pop culture-infused ideas about vampires and take the necessary steps to protect themselves? We think the Spiraci, or Breathers, are the Vampires of the 21st Century. Ironic, really, when they have been around for centuries. They are the iVampires if you like, the bloodsuckers for the SmartPhone generation. Certainly the Breathers encompass all modern trends, and always have, to ensure they keep up a steady stream of ‘candidates’ for their ‘restaurants.’ If they have to masquerade as rock gods to get what they want, then they will. If they have to don Armani to infiltrate the upper echelons of society then they do that as well. You only have to look at news clips and videos from past decades and you’ll see them in the background, mingling with the crowds. Look at film of the Stones at Altamont. Look at the crowds in Dallas. Everyone should protect themselves against them, but thanks to Department 18, no one will get to hear about them. Only through Night Souls reaching readers can the public be made aware of how much danger we are all in. Q. From the events told in Black Cathedral, clearly the men and women of Department 18 are willing to risk their lives to overcome these paranormal threats. While once a much more public unit, the Department’s operations are now very secretive. Does the public have anything to fear from Department 18? Does it help or hurt the Department’s cause to work unseen in the shadows? During the Second World War their services were called upon by the War Office. Hitler was rumoured to be dabbling in the occult and especially black magic, and so Pressman, Madison, and their team were given the role of advisers to the SIS, the Special Intelligence Service. Pressman died from a heart attack in 1944. It was a blow from which Genevieve Madison never recovered and, immediately after the war, she went back home to America where she died eighteen months later. Rather than disband the team, the government initiated a special department to carry on the investigations into paranormal phenomena. Q. You recently discovered that Department 18 has case files open on both of you. Have you ever been contacted directly by a Department agent in regards to the cases you’ve made public in Night Souls and Black Cathedral? Len was nearly led into a ‘honey trap’ by a female Department operative. He was contacted discreetly at work and a relationship began to build that seemed perfectly natural and normal. After a few dates he became suspicious. She never talked about herself much, never wanted to go back to her place, and had no family photos to show. It was when she began to ask detailed and pressing questions about Len’s writing that he became aware that this lady was more than she purported to be. She took the break up badly, was persistent in trying to get back with him, but when he in turn followed her, as best he could—after all we have had no covert training—he found her pressing the buzzer of a building in Whitehall London. She was Department 18. Mick was at a cocktail party in London when two apparently friendly business types engaged in what became a long and increasingly personal discussion about Mick’s political beliefs. It was when they asked if he would be interested in joining a certain charitable organization that Mick made a polite exit for the buffet. Shrimp was good. Q. In your opinion, should Department 18 be doing more to educate the public about paranormal activity? That is a lot of baloney. They keep things secret because it suits them to do so. If the public became aware of half what they get up to there would be an outcry. Q. Have any new cases surfaced that you’re researching? Even more worrying are the personal files they have compiled on us. Here is CASE STUDY D18 2008 / 39—M P N SIMS / Michael Philip Norman Sims was born in New Cross London in December 1952. He moved to Enfield in 1956—see case 38. He met Maynard in 1964 in Enfield Middlesex. Father dies in late 50’s leaving widow. Mother dies after long Alzheimers aged 71. Has brother, seems unrelated to investigation. Has wife and daughter. All 3 close family live in ——— in Hertfordshire. Michael appears to have done reasonably at his schooling, leaving at 19 and began work in banking where he is still employed. This may be a mask for his real activities. Since age 21 Sims has written supernatural stories. Many mirror to a specific degree known and recorded D18 investigation. NOTE—is Sims privy to Department data? In 1979 with Maynard, Sims had his first book published SHADOWS AT MIDNIGHT. And so it goes on. Q. Would you ever consider working with/for the Department? I think this conversation is over. Have you ever been to London? Why are you asking all these questions anyway? Do you know Robert Carter? At this point in the interview both Maynard and Sims stood and left the bar, using a side exit. I watched them get into a rented Buick and drive off into the night. Clearly my last question had spooked them. I have to add, though, that they had thrown enough bills onto the table to enable me to order a very nice Key Lime Pie for dessert and still leave a decent tip. It seems clear to me, reviewing their responses, that there is something deeply sinister in Department 18. Whether these two authors are at risk of personal harm, I can’t say. But what I would say without hesitation is that the public has a right to know. I for one aim to get Department 18 out of the shadows by shining a very bright light on them. Fans of John Everson’s novel Siren should visit the new website devoted to the lore of the deadly sea creature. Not only has Everson partnered with Nox Arcana to provide the goosebump-inducing background music for the new site at www.siren-horror.com, but he also has just released a brand new, free story about Ligeia, the siren of Siren. In addition to free, previously unpublished (in English anyway) Siren fiction, the new website also includes “The Map” showing the town of Delilah, where the novel takes place, as well as a “Preview” teaser chapter from the novel. There are also reviews, a couple of blogs about the “Making Of” Siren (including one originally published on Borders.com) and a section on the “Legend of the Siren” which details some of the classic mythology of Sirens. The site also features the “Songs of the Siren”—some music videos featuring songs that Everson listened to while writing the novel. Beauty is in the eye of the beholder, right? With the influx of author submissions, galleys, and other materials sent to Dorchester, I get really excited to see boxes shipped to us. Why do I get so excited for cardboard? Because I know they have one of two things: new trade books, or new foreign issues of our books! The foreign editions of our titles come across my desk often. Most are amazing, and some I raise an eyebrow to; but with the constant flow of these foreign covers, it got me wondering how other countries and cultures interpret a story, and how they choose pictures and images to represent that story. Sometimes the foreign covers are similar to Dorchester’s, and other times it takes a stretch of my imagination to understand the designer’s vision. While working in the Production department, I’ve seen many covers and ideas come across the table. It’s interesting how other cultures interpret the infamous Romance clinch cover. While I appreciate foreign covers that stick with a similar theme or image, I found that I really love the foreign covers that allow a little more creativity. 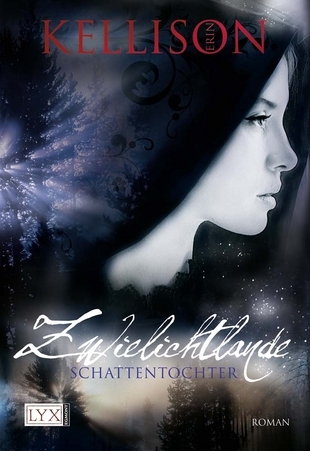 In the German cover of Erin Kellison’s Shadow Bound, the artist still has a female figure, but I don’t think she is the focus. 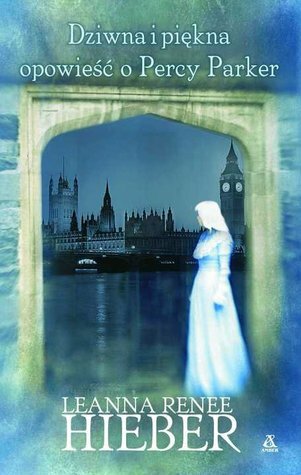 In the U.S. cover, the figure stares straight at the reader, drawing her in with a mysterious atmosphere surrounding her. The German cover features the profile of a starkly pale, yet luminous, young woman. The highlighted sections around her face help illustrate the paranormal aspects of the text. So, I’m stuck; what do y’all think? 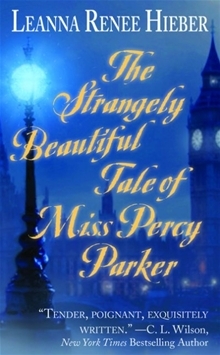 The Polish cover of Leanna Renee Hieber’s A Strangely Beautiful Tale of Miss Percy Parker is stunning. I love the psychedelic colors and the scene of London in the background. The color on both covers pops off the bookshelf, and would definitely attract a reader’s attention. I love the youthful font on the U.S. version of the cover, and there’s something intriguing about the ghostlike figure on the Polish cover. Which is the people’s champ? My opinion is great and all, but I want to hear from you. Which is your favorite foreign cover! Have you seen any more of your favorite Dorchester authors’ foreign covers? Comment and share! Can’t get enough?! Check out some more German editions of many Dorchester authors here! P.S. It helps if you can read German; if not, Google translate has become my new b.f.f.! I Spy…Dorchester covers in a Verizon iPad2 commercial! Most of us fast forward through commercials these days, but even so the chances are good that you’ve seen the Verizon iPad2 commercial below. It’s on every channel these days and four of Dorchester’s titles are featured in it! I’ve grabbed a freeze frame from the commercial 6 seconds in in which you can very briefly see the covers of The Battle Sylph by L. J. McDoanld, The Strangely Beautiful Tale of Miss Percy Parker by Leanna Renee Hieber, Siren by John Everson, and The Bonaparte Secret by Gregg Loomis. What? They chose Twilight as the book to flip through and not ours? Like anyone’s read that! Hmph. August ends, September begins, and it’s as though someone flips a switch. Suddenly it’s fall, the leaves are turning, the weather’s cooling, and the stores are bringing out the Halloween decorations. It always seems a bit premature, but then before you know it, the holiday has come and gone. To gear up for Halloween and Dorchester’s release of The Pumpkin Man (Oct 4, trade and e-book) by horror heavy-weight John Everson, we’re offering an exclusive six chapter preview of the book to our e-newsletter subscribers. Every Friday, beginning this Friday the 16th and ending October 7th, subscribers to our General Interest and Horror newsletters will receive installments of the first 6 chapters, including the prologue and journal entries, in their inbox! Everson himself will be stopping by the blog after the preview wraps up in October, so be sure to stay caught up on the preview chapters. If you’re not already signed up for one of the Dorchester free e-newsletters, sign up now! Don’t miss out on this exclusive content plus all the latest news, coupons, and more newsletter insiders! In my room I have a wall hanging that says, “Music is what feelings sound like.” It is my absolute favorite quote. Music enhances a person’s feelings by touching the soul. At least, that is how I hear it. I am constantly listening to music; especially when I’m reading. I love it when my iPod is on shuffle and a song comes on that fits the scene that I’m reading in my book. For example, the other day I was reading Again the Magic by Lisa Kleypas. I had finished it and wanted to reread the ending. So I did, but this time I was listening to The Blower’s Daughter by Damien Rice. As I was reading the scene, I began to tear up (happy tears!). Yes, I get emotional when I read. Emotionally speaking, listening to music is a great way to become even more engrossed in the novel. Many authors find inspiration for their writing in music. Some have even written their own soundtracks. Jennifer DeLucy, author of the Light series, has written several original songs for her books, all of which can be found on her website. In addition to these, she has posted playlists for each book. According to her website, these playlists had a “powerful impact” on her writing. 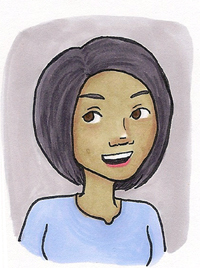 YA author Alexandra Monir is also a recording artist. With the publication of her novel, Timeless, she released an album on iTunes (all original songs) meant to compliment the story. Even Dorchester’s own Phyllis Bourne listens to music when she writes. “For each of my books, I’ve had ONE song that I replay over and over (and over) again until the book is done.” For Operation Prince Charming, she listened to “Fascination” by Kem. Likewise for By New Year’s Day in The Holiday Inn anthology, she listened to “Lonely” by Jaheim. “I Can Change” by John Legend influenced her while writing A Moment on the Lips. Secret Legacy author Anna DeStefano created a playlist, which can be found on her website. How awesome wo uld it be to listen to the music the author used to help her create the world you had just visited? By listening to the author’s soundtrack or playlist, the reader can be pulled into the author’s imagination even more. If you don’t like to listen to music as you read, then you don’t have to. You can listen to the songs another time. Either way, the reader can be drawn deeper into the author’s world. With the rise in popularity of e-books, e-book soundtracks, and digital entertainment, I wonder what will be next. There’s already a Netflix for books called BookSwim and a Pandora for books called BookLamp. We’ll just have to wait and see. Giveaway: Do you ever make playlists for the books you read? Have you ever listened to an author’s playlist for a book? What are some songs you think would compliment your favorite book? Let us know what you think and be entered to win an assortment of trade and mass market paperbacks worth over $25!